Your website is a keyhole through which people see and understand you over the internet. Not so long ago, designing a website for a business seemed like a humongous task. One had to register a domain, sign up for a hosting plan and finally get somebody to design the website. Today, it takes less than five minutes to register a domain on domain registering websites like GoDaddy, BigRock, etc. Signing up with web hosting service providers like ASO, HostGator GoDaddy, etc. And setting up a site based on WordPress or any other CMS that is the best fit for your business. Sites such as Squarespace are literally a one-stop shop for creating a website. So the question arises: is a good website design still relevant today? Mobile is the most profitable platform to reach your customers, both current and prospective. Thanks to a continuous update in hardware and software technology, mobile phones have become cheaper. Also, with the evolution of e-commerce market, people can buy electronic devices easily now. Fact file: As per statista.com, one-third of the global population will have smartphones in their pockets in the coming year. According to HostingFacts.com, Wi-Fi and mobile connected devices will generate a whopping 68% of web traffic by 2017. Also from the Search Engine Optimization’s perspective, Google has made it clear that websites that are mobile friendly will rank higher in search results. Since more and more users are purchasing mobiles and accessing the web using them, it is imperative to design a website that is mobile responsive. Surprisingly, a large number of websites are still optimized for the desktops or laptops, and they do not have a responsive design especially for mobile. Working with a good web designer who is aware of the latest trends in website design is therefore very important. It has been over one year since Google introduced Accelerated Mobile Pages (or AMP) for websites to help improve their behavior on mobile phones and tablets. Pages can load up to 4 times faster with AMP. According to a recent report by Search Engine Watch, sites such as Washington Post and Wired witnessed an increase in the traffic that came through mobile searches. The increase in traffic shows how often people use their smartphones to browse a website. Now to give them a good experience, a good design of the website is highly relevant. If your site has a blog that is updated regularly, and if you use Facebook to promote your content, then you need to take a look at Facebook Instant Articles. They work only on mobiles, and Facebook offers to share a significant portion of the ad revenue with the publishers (up to 70 percent). If you are using Facebook, then you would surely have come across the situation where you click on the link and the page takes so much time to loads. Facebook Instant Article allows the page to load immediately after you click on it. Hence, a user can engage more easily with your website so a better design can give your viewers the best experience which will eventually increase your revenue. Facebook Instant Articles lets the advertisers get the most out of their advertisements. According to the Verge, Facebook Instant Articles can change the manner in which we consume media altogether. Most websites that use stunningly visual images or videos often do not consider the fact that some users may not be able to use the website easily. A dexterous web-designer must understand that putting everything in visual context can have adverse effects. Using both textual and visual context with proper format can help a website have an engaging design. An engaging design increases the accessibility for the user. The user should easily move to other web pages from the landing page/home page. For visually impaired persons, the “Alt” tag for images is the simplest way to help them understand that there is an image (or images) on the page. It will also help with your website’s search engine ranking. As you may have realized, that while setting up a website is no longer the hassle it used to be. 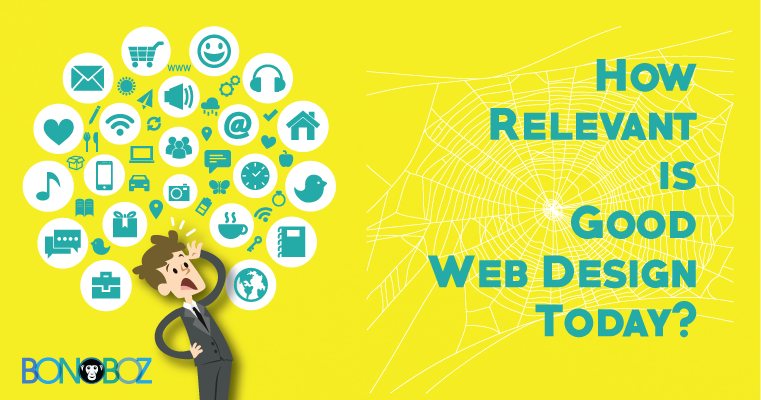 Making sure that it follows good web design practices is imperative. However, we can surely conclude that website designing practice is not irrelevant as more and more technology and services are introduced based on the same.